This is a PDF ﬁle of an unedited manuscript that has been accepted for publication. As a service to our customers we are providing this early version of the manuscript. The manuscript will undergo copyediting, typesetting, and review of the resulting proof before it is published in its ﬁnal form. Please note that during the production process errors may be discovered which could aﬀect the content, and all legal disclaimers that apply to the journal pertain. Department of Geology, Lund University, Sölvegatan 12, 223 62 Lund, Sweden. share a characteristic pattern of a bloom of opportunistic "crisis" tax followed by a pulse in pioneer communities, and finally a recovery in diversity including evolution of new taxa. Based on their similar extinction and recovery patterns and the fact that Last and First Appearance Datums associated with the extinctions are separated in time, we recommend using the K–Pg event as a model and to use relative abundance data for the stratigraphic definition of mass-extinction events and the placement of associated chronostratigraphic boundaries. al., 1999; Eggert et al., 2009; Schulte et al., 2010), and also at some sites that represented land during the end-Cretaceous event (Fig. 1C–F; Sweet et al., 1999; Sweet and Braman, 2001; Vajda et al., 2001, 2004; Nichols and Johnson, 2008 and references therein; Ferrow et al., 2011). Other anomalies corroborating an impact event have been detected since those first observations, including high levels of the elements; nickel, chromium and iron, and the presence of quartz grains with planar deformation features (PDFs) (Alvarez et al., 1995; Schulte et al., 2010). During the final phase of the Cretaceous, the typical marine food web was founded on protists such as coccolithophorids and foraminifera, which occurred in such vast numbers that their tests provided the main components of the extensive Upper Cretaceous chalk deposits. crocodilians and mammals (Longrich et al., 2011, 2012; Smit, 2012 and references therein; O’Leary et al., 2013 and references therein). Schiøler, 1996; Vajda and Raine, 2003; Molina et al., 2006; Willumsen and Vajda, 2010). geological events in Earth’s history. 2002; Murphy et al., 2002). seed ferns that had dominated earlier Mesozoic floras (Heimhofer et al., 2007; Friis et al., 2011). Floristic provinciality reached its Mesozoic zenith during the Maastrichtian, probably as a consequence of habitat fragmentation caused by continental breakup and high sea-levels. palynological data, e.g., revealing that India included three provinces during the Maastrichtian (Fig. 3B). We outline the characteristics of the four main provinces below. Cretaceous and constituted an important and diverse element of many Late Cretaceous and early Cenozoic floras of the Northern Hemisphere (Friis et al., 2006). also represented by fossil flowers and fruits in the Maastrichtian Deccan Intertrappean Beds of India (Friis et al., 2011). The Proteacidites/Nothofagidites Province was represented at high latitudes of the Southern Hemisphere including Australia, New Zealand, Antarctica, and the southern part of South America (Srivastava, 1978, 1981; Herngreen et al., 1996). This province is typified by the abundant presence of Nothofagiidites (Nothofagus) and Proteacidites pollen (Herngreen et al., 1996). Palynological assemblages from South Africa and Madagascar lack Nothofagiidites pollen, hence these areas do not strictly belong to this province (Nichols and Johnson, 2008). Each of the major floristic provinces is bounded by zones of intermixed floras (Fig. 3B). vast majority of high-resolution K–Pg palynological studies have been within the Aquilapollenites province of central and northern North America. marking the base of the upper Maastrichtian (Nichols, 1994; Bercovici et al., 2012a; Braman and Sweet, 2012). The typical Wodehouseia spinata assemblage of North America features diverse and abundant fern spores and angiosperm pollen, among which are several species of Aquilapollenites (Nichols and Johnson, 2008). Most palynological studies have focused on the identification of the K–Pg boundary. Consequently, most high-resolution palynological studies have been limited to a few meters of stratigraphic interval spanning the boundary. Nevertheless, several lower resolution studies of the palynological record covering the entire Wodehouseia spinata Assemblage Zone have been conducted, and the results from these show that there is no major variation within the composition of the miospore assemblages (Nichols and Johnson, 2008). paleoclimatic changes with a significant mean annual temperature increase at the end of the Cretaceous (Johnson and Hickey, 1990; Wilf et al., 2003). specific mire vegetation is thought to represent survival of Cretaceous swamp vegetation (Johnson, 2002). Douglas, 1999; Kennedy, 2003). The most striking transition in the macroflora is the significant decrease of Araucariaceae across the K–Pg boundary (Pole, 2008). High floral diversity in the upper Hell Creek Formation is correlated to an episode of warming that occurred during the last 400 kyrs of the Cretaceous. Leaf margin analysis (LMAT) based on North American leaf assemblages (Wilf et al., 2003; Fig. 4), shows an estimated ~4°C warming on land at around 66.5 Ma, i.e. 500 kyrs prior to the K–Pg event. This warming event is also reflected in variations within the marine record and lasted to 100 kyrs before the K–Pg event (Thibault and Gardin, 2010). Wilf et al. (2003) suggested that the temperature increase was driven by pCO2 rise from Deccan volcanic activity (Fig. 4). et al., 2000; Fastovsky et al., 2004). This is in agreement with studies of marine reptiles from New Jersey, USA, showing a sudden extinction of Mosasaurs (Gallager et al., 2012). New Zealand (Moody Creek Mine, Vajda et al., 2001). In Europe, mainly marine K–Pg boundary successions are preserved and no complete terrestrial K–Pg boundary section (with a diagnostic boundary clay including shocked quartz and a geochemical anomaly) has yet been identified there. America are characterized by a suite of Momipites and/or Caryapollenites (Nichols and Johnson, 2008 and references therein). Formation, Colombia (Jaramillo et al., 2007). palynofloras, showing much higher diversity for dicotyledonous angiosperms in the macrofossil record (Kennedy, 2003; Pole and Vajda, 2009). increased microbial activity recorded from the basal K–Pg boundary clay at Stevns Klint (Sepúlveda et al., 2009), further supporting cessation of photosynthesis for a short period. Loma Capiro, Central Cuba further supports vegetation turn over followed by recovery succession during warmer conditions during the Paleocene (Yamamoto et al., 2010). angiosperms (i.e. this is an auto-correlation phenomenon) and the spike in these taxa is only evident when angiosperms are considered individually. Paleocene is probably related to the parent plant being an opportunistic herbaceous earlysuccessional colonist. Caravaca, Spain) where conifer biomarkers drop in concentration at the boundary, only to recover 10 kyrs after the K–Pg event (Mizukami et al., 2013). the composition of the pre-existing vegetation and local environmental conditions. In North America, extinction among plants based on macrofloral evidence is striking, with 78% of the macrofloral species from the Hell Creek disappearing at the K–Pg boundary (Johnson, 2002; Wilf and Johnson, 2004). The extinction rates are remarkably high and concentrated at the K–Pg boundary itself, with extinction levels variously calculated between 57 and 66% (Wilf and Johnson, 2004). The recovery flora, characterized by a low diversity assemblage (Johnson, 2002; Bercovici et al., 2008), is dominated by angiosperms (Wolfe, 1985). ACCEPTED MANUSCRIPT the post-extinction environments where formed by the survivors, and where the ―winners‖ defined the long-term evolution of individual clades. to the Cretaceous assemblage, the Paleocene flora shows a 50% drop in angiosperm taxa. Quantitative palaeoclimate estimates using both Leaf Margin Analysis (LMA) and the Climate Leaf Analysis Multivariate Program (CLAMP) on New Zealand leaf assemblages consistently indicate cool-temperate conditions for the Paleocene of New Zealand (Kennedy, 2003). In the New Zealand record, a 7 ± 0.8°C decrease in mean annual temperature over the K– Pg boundary is evident based on Leaf Margin Analysis (LMA). Based on data compiled by Kennedy (2003), the mean annual temperature estimates from top-Maastrichtian leaf assemblages at Pakawau are 14.8 ± 0.8°C for LMA, and 13.0 ± 1.2°C for CLAMP. The mean annual temperature estimates for Paleocene leaf assemblages from three sites estimate temperatures at 7.5 ± 0.8°C for LMA and 10 ± 1.2°C for CLAMP (Kennedy, 2003). earliest Paleocene correlated to the Chicxulub impact (Fig. 4). event (Rehan et al., 2013). reported from the Cretaceous of New Zealand (e.g. Kennedy, 2003) although no quantitative studies of their abundance or diversity have been performed to our knowledge. North America regaining pre–Pg levels only 10 Myrs later (Wilf et al., 2006). This possibly indicates that insect communities had a longer recovery time compared to plant communities. tentatively indicating that insect recovery was faster at this site compared to the US-sites. communities dominated by marsupials and multituberculates in the Cretaceous were replaced by communities of diverse eutherians in the Paleocene (Archibald and Bryant, 1990; Eberle and Lillegraven, 1998; Hunter, 1999; Hunter and Archibald, 2002; O'Leary et al., 2013). and Bryant, 1990; Sheehan and Fastovsky, 1992; Pearson et al., 2002). impact triggered extinction at the K–Pg. boundary, but mention the association of the extinction of several fossil taxa. lacerticeps (Smith and Ward, 2001; Ward et al., 2005). ACCEPTED MANUSCRIPT Northern and Southern Hemispheres (McLoughlin et al., 1997; McElwain and Punyasena, 2007; Peng and Shi, 2009; Shi et al., 2010). data reveals rapid recovery of gymnosperms following the spore-producing vegetation (Hochuli et al., 2010). grazing organisms where not present, resulting in uncontrolled growth of extremophiles. Interestingly, the microbial mats also seem to have served as refuges for some organisms including ostracods (Forel and Crasquin, 2011; Forel, 2012; Forel et al., 2013). the vegetation and the global carbon cycle across the Triassic–Jurassic boundary (TJB) (Hesselbo et al., 2002, 2007). associated intrusions of the Central Atlantic Magmatic Province (CAMP) by many authors (e.g. McElwain et al., 1999; Hesselbo et al., 2002; Bonis et al., 2010; Steinthorsdottir et al., 2011; Mander et al., 2013 and references therein). U-Pb dates from the CAMP, exclusively based on samples from continental sequences of Morocco and Eastern North America, and further tied to palynological signals, show that the initiation of the extinctions in the tropics and subtropics coincided with oldest CAMP flows. Nevertheless, the pattern of extinctions was significantly different in temperate northern and southern latitudes, although correlation is hampered by these differences and as yet untested by indepedant geochrononological dating methods. from one single well-dated bed as in Steinthorsdottir and Vajda (2013), the results reveal that the end-Triassic and Early Jurassic atmospheric CO2 was significantly higher than present values. debate continues as to whether the extinction on land precedes that in the oceans. Highresolution studies from New Zealand have shown that the palynofloral turnover precedes the extinction in the marine realm (Akikuni et al., 2010). In contrast, correlations based on palynological assemblages from TJB sections in Greenland and the marine TJB succession at Audrey’s Bay in the UK, (two areas that were geographically much closer during the end Triassic) show evidence for synchronous disruption in the marine and terrestrial realms (Mander et al., 2013). Clearly, further investigations are required to develop a global integrated picture of the environmental changes across the TJB. Cretaceous–Paleogene events. We have focused on terrestrial environments, more precisely the palynological and, to some extent, the paleobotanical records. Meishan) reveal that the major extinction interval occurred at ca. 252.3 Ma and that the anomalous environmental conditions persisted for less than 200 000 years (Shen et al., 2011). timing for other events with the aim of assessing their underlying causal mechanisms. terrestrial extinctions; 3, comparison of patterns between the Southern and Northern hemispheres. autotrophs and heterotrophs, and between terrestrial and marine faunas become more similar. between the extinction event and the evolution of new taxa (Fig. 9). Despite having very different causes, the end-Permian, end-Triassic, and the K–Pg events are consequences of dramatic environmental upheavals that generated comparable extinction patterns, and similar phases of vegetation recovery but at different temporal scales. Based on the observed lagtime for the FADs after such biotic crises, we recommend using relative abundance data for the stratigraphic definition of mass extinction events and the placement of chronostratigraphic boundaries. ACCEPTED MANUSCRIPT This research was jointly supported by the Swedish Research Council (VR), Lund University Carbon Cycle Centre (LUCCI) and the Royal Swedish Academy of Sciences. A.
paper. Three anonymous reviewers are further thanked for providing constructive criticism. boundary sequences from the Kawhia coast and Awakino gorge, Murihiku Terrane, New Zealand. palaeoclimate development in the Junggar Basin, Xinjiang, Northwest China—a review and additional lithological data. Palaeobiodiversity and Palaeoenvironments 90, 187–201. Axsmith, B.J., Jacobs, B.F., 2005. The conifer Frenelopsis ramosissima (Cheirolepidiaceae) in the Lower Cretaceous of Texas: systematic, biogeographical, and paleoecological implications. International Journal of Plant Sciences 166, 327–337. Axsmith, B.J., Krings, M., Waselkov, K., 2004. Conifer pollen cones from the Cretaceous of Arkansas: Implications for diversity and reproduction in the Cheirolepidiaceae. Journal of Paleontology 78, 402–409. Barclay, R.S., Johnson, K.R., 2004. West Bijou site Cretaceous–Tertiary boundary, Denver Basin, Colorado. Geological Society of America Field Guide 5, 59–68. Academy of Sciences 99, 7836–7840. Benton, M.J., 1995. Diversification and extinction in the history of life. Science 268, 52–58. Bercovici, A., Cui, Y., Forel, M.-B., Yu, J., Vajda, V., 2014. Terrestrial paleoenvironment characterization across the Permian–Triassic boundary in South China.. Journal of Asian Earth Sciences, in press. Bercovici, A., Wood, J., Pearson, D.A., 2008. Detailed paleontologic and taphonomic techniques to reconstruct an earliest Paleocene fossil flora: an example from southwestern North Dakota, USA. Review of Palaeobotany and Palynology 151, 136–146. Bercovici, A., Pearson, D.A., Nichols, D.J., Wood, J., 2009. Biostratigraphy of selected K/T boundary sections in southwestern North Dakota, USA: toward a refinement of palynological identification criteria. Cretaceous Research 30, 632–658. Bercovici, A., Vajda, V., Sweet, A., 2012a. Pollen and spore stratigraphy of the Cretaceous–Paleogene massextinction interval in the Northern Hemisphere. Journal of Stratigraphy 36, 165–178. ACCEPTED MANUSCRIPT Bercovici, A., Vajda, V., Pearson, D., Villanueva-Amadoz, U., Kline, D., 2012b. Palynostratigraphy of John's Nose, a new Cretaceous–Paleogene boundary section in southwestern North Dakota, USA. Palynology 36, 36–47. Bice, D., Newton, C.R., McCauley, S., Reiners, P.W., 1992. Shocked quartz at the Triassic –Jurassic boundary in Italy. Science 255, 443–446. Bohor, B.F., Izett, G., 1986. World-wide size distribution of shocked quartz at the K/T boundary: evidence for a North American impact site. Lunar and Planetary Sciences 52, 68–69. impact event at the Cretaceous–Tertiary boundary. Science 224, 867–869. evidence for a global disruption. Science 236, 705–709. Bohor, B.F., Triplehorn, D.M., Nichols, D.J., Millard, H.T., 1987b. Dinosaurs, spherules and the "magic layer"; a new K–T boundary clay site in Wyoming. Geology 15, 896–899. and Ginkgoites taeniatus (Braun) Harris. Palaeogeography, Palaeoclimatology, Palaeoecology 295, 146– 161. Bourquin, S., Bercovici, A., López-Gómez, J., Diez, J.B., Broutin, J., Arche, A., Linol, B., Amour, F., 2011. The Permian–Triassic boundary and the beginning of the Mesozoic sedimentation at the northwestern periTethyan domain scale: paleogeographic maps and geodynamic implications. Palaeogeography, Palaeoclimatology, Palaeoecology 299, 265–280. Braman, D.R., Sweet, A.R., 2012. Biostratigraphically useful Late Cretaceous–Paleocene Terrestrial palynomorphs from the Canadian Western Interior Sedimentary Basin. Palynology 36, 8–35. Brinkhuis, H., Schiøler, P., 1996. Palynology of the Geulhemmerberg Cretaceous/Tertiary boundary section (Limburg, SE Netherlands). Geologie en Mijnbouw 75, 193–213. Brusatte, S.L., Butler, R.J., Prieto-Márquez, A., Norell, M.A., 2012. Dinosaur morphological diversity and the end-Cretaceous extinction. Nature communications 3, 804. doi:10.1038/ncomms1815. Buffetaut, E., 1984. Selective extinctions and terminal Cretaceous events. Nature 310, 276. Buffetaut, E., 1990. Vertebrate extinctions and survival across the Cretaceous–Tertiary boundary. Tectonophysics 171, 337–345. Buffetaut, E., Le Loeuff, J., Cavin, L., Duffaud, S., Gheerbrant, E., Laurent, Y., Martin, M., Rage, J.-C., Tong, H., Vasse, D., 1999. Late Cretaceous non-marine vertebrate from southern France: a review of recent finds. Geobios 20, 101–108. using paleomagnetic secular variation: 2. Constraints from analysis of eight new sections and synthesis for a 3500-m-thick composite section. Journal of Geophysical Research 114, 34 p. doi:10.1029/2008JB005644. Clemens, W.A., Archibald, J.D., Hickey, L.J., 1981. Out with a whimper, not a bang. Paleobiology 7, 293–298. Coney, L., Reimold, U., Hancox, J.P., Mader, D., Koeberl, C., McDonald, I., Struck, U., Vajda., Kamo, S., 2007.
evaluation using climatically sensitive sediments as proxy indicators. Palaeogeography, Palaeoclimatology, Palaeoecology 315, 12–23. floristic diversity. Science 246, 675–678. Craw, R.C., Watt, J.C., 1987. An Upper Cretaceous beetle (Coleoptera) from Hawkes Bay, New Zealand. Journal of the Royal Society of New Zealand 17, 395–398. Cripps, J.A., Widdowson, M., Spicer, R.A., Jolley, D.W., 2005. Coastal ecosystem responses to late stage Deccan Trap volcanism: the post K-T boundary (Danian) palynofacies of Mumbai (Bombay), west India. Palaeogeography, Palaeoclimatology, Palaeoecology 216, 303–332. de Jersey, N.J., Raine, J.I., 1990. Triassic and earliest Jurassic miospores from the Murihiku Supergroup, New Zealand. New Zealand Geological Survey, Paleontological Bulletin 62, 164 p. de Jersey, N., McKellar, 2013. The palynology of the Triassic–Jurassic transition in southeastern Queensland, Australia, and correlation with New Zealand. Palynology 37, 77–114. ACCEPTED MANUSCRIPT Doyle, J.A., Biens, P., Doerenkamp, A., Jardiné, S., 1977. Angiosperm pollen from the pre-Albian Lower Cretaceous of Equatorial Africa. Bulletin des Centres de Recherches Exploration-Production Elf-Aquitaine 1, 451–473. Eberle, J.J., Lillegraven, J.A., 1998. A new important record of earliest Cenozoic mammalian history: geologic settings, Multituberculata, and Peradectia. Rocky Mountain Geology 33, 3–47. Eggert, H., Koeberl, C., Wagreich, M., Stradner, H., 2009. The Cretaceous–Paleogene (K/Pg) boundary at Gams, Austria: Nannoplankton stratigraphy and geochemistry of a bathyal northwestern Tethyan setting. Stratigraphy 6, 333–347. Colorado. Rocky Mountain Geology 38, 73–100. von Ettingshausen, C., 1887. Beitrage zur Kenntniss der Fossilen Flora Neuseelands. Denkschriften der Akademie der Wissenschaften Wien 53, 143–194. the New Zealand Institute 23, 237–310. transition, Eastern Montana and Western North Dakota. Palaios 2, 282–295. Fastovsky, D.E., Sheehan, P.M., 2005. The extinction of the dinosaurs in North America. GSA Today 15, 4–10. Fastovsky, D.E., ,Weishampel, D.B., 2005. The evolution and extinction of the dinosaurs (second edition). Cambridge University Press, 485 p. Fastovsky, D.E., Huang, Y., Hsu, J., Martin-McNaughton, J., Sheehan, P.M., Weishampel, D.B., 2004. The shape of Mesozoic dinosaur richness. Geology 32, 877–880. Fawcett, J.A., Maere, S., van de Peer, Y., 2009. Plants with double genomes might have had a better chance to survive the Cretaceous–Tertiary extinction event. Proceedings of the National Academy of Sciences 106, 5737–5742. Ferrow, E., Vajda, V., Bender Koch, C., Peucker-Ehrenbrink, B., Suhr-Willumsen, P., 2011. Multiproxy analysis of a new terrestrial and a marine Cretaceous–Paleogene (K–Pg) boundary site from New Zealand. Geochimica Cosmochimica Acta 75, 657–672. regional bio-event in western North America. In: Kauffman, E.G., Walliser, O.H., (Eds. ), Extinction Events in Earth History. Lectures Notes in Earth Sciences 30, Springer Verlag, New York, 351–364. microbialite refuge? Terra Nova 25, 137–143. Paleontology Conference Field Trip Guidebook, St. John’s, Newfoundland, Geological Association of Canada, pp. 70–85. Friis, E.M., Pedersen, K.R., Crane, P.R., 2001. Fossil evidence of water lilies (Nymphaeales) in the Early Cretaceous. Nature 410, 357–360. Friis, E.M., Crane, P.R., Pedersen, R.K., 2011. Early Flowers and Angiosperm Evolution. Cambridge University press, New York, 596 p. Friis, E.M., Pedersen, K.R., Schönenberger, J., 2006. Normapolles plants: a complex of extinct fagalean lineages. Plant Systematics and Evolution 260, 107–140. Funkhouser, J.W., 1961. Pollen of the genus Aquilapollenites. Micropaleontology 7, 193–198. ACCEPTED MANUSCRIPT Gallager, W.B., Miller, K.G., Sherrell, R.M., Browning, J.V., Field, P.M., Olsson, R.K., Sugarman, P.J., Wahyudi, H., 2012. On the last mosasaurs: Late Maastrichtian mosasaurs and the Cretaceous–Paleogene boundary in New Jersey. Bulletin de la Société Géologique de France 183, 145–150. Guy-Ohlson, D., 1981. Rhaeto-Liassic palynostratigraphy of the Valhall bore No. 1 Scania. Geologiska Föreningens i Stockholm Förhandlingar 103, 233–248. Hallam, A., Wignall, P.B., 1999. Mass extinctions and sea-level changes. Earth-Science Reviews 48, 217–250. Harris, A.C., Raine, J.L., 2002. A sclerite from a Late Cretaceous moth (Insecta: Lepidoptera) from Rakaia Gorge, Canterbury, New Zealand. Journal of the Royal Society of New Zealand 32, 457–462. Heimhofer, U., Hochuli, P.A., Burla, S., Weissert, H., 2007. New records of Early Cretaceous angiosperm pollen from Portuguese coastal deposits: implications for the timing of the early angiosperm radiation. Review of Palaeobotany and Palynology 144, 39–76. Geologishe Dienst Nieuwe serie 26, 38–90. Herngreen, G.F.W., Chlonova, A.F., 1981. Cretaceous microfloral provinces. Pollen et Spores 23, 441–555. Calcareous Alps (Kuhjoch section; Karwendel Mountains, Tyrol, Austria). International Subcommission on Jurassic Stratigraphy, Triassic/Jurassic BoundaryWorking Group Ballot, 2–20. Hotton, C.L., 1988. Palynology of the Cretaceous–Tertiary boundary in central Montana, U.S.A., and its implication for extraterrestrial impact. Ph.D. dissertation, University of California, Davis, California, 610 p.
Cretaceous. Geological Society of America Special Paper 361, pp. 473–501. Jaramillo, C.A, Bayona, G., Pardo-Trujillo, A., Rueda, M., Torres, V., Harrington, G.J., Mora, G., 2007. The palynology of the Cerrejón Formation (Upper Paleocene) of northern Colombia. Palynology 31, 153–189. bearing strata and K/T boundary in the Luanchuan-Tantou Basin of western Henan Province, China. Science China Earth Sciences 54, 1149–1155. Johnson, K.R., 1989. A high-resolution megafloral biostratigraphy spanning the Cretaceous–Tertiary boundary in the northern Great Plains. Ph.D. thesis, Yale University, New Haven, Connecticut, 556 p. Johnson, K.R., 2002. Megaflora of the Hell Creek and lower Fort Union formations in the western Dakotas: vegetational response to climate change, the Cretaceous–Tertiary boundary event, and rapid marine transgression. In: Hartman, J.H., Johnson, K.R., Nichols, D.J., (Eds. ), The Hell Creek Formation and the Cretaceous–Tertiary boundary in the Northern Great Plains: an Integrated Continental Record of the End of the Cretaceous. Geological Society of America Special Paper 361, pp. 329–391. Johnson, K.R., Hickey, L.J., 1990. Megafloral change across the Cretaceous/Tertiary boundary in the northern Great Plains and Rocky Mountains, USA. In: Shapton, V.L., Ward, P.D., (Eds. ), Global catastrophes in earth history: an interdisciplinary conference on impacts, volcanism, and mass mortality. Geological Society of America Special Paper 247, pp. 433–444. Johnson, K.R., Nichols, D.J., (Eds. ), The Hell Creek Formation and the Cretaceous–Tertiary boundary in the Northern Great Plains: an Integrated Continental Record of the End of the Cretaceous. Geological Society of America Special Paper 361, pp. 503–510. Kaiho, K., Koga, S., 2013. Impacts of a massive release of methane and hydrogen sulfide on oxygen and ozone during the late Permian mass extinction. Global and Planetary Change 107, 91–101. Kamo, S.L., Lana, C., Morgan, J.V., 2011. U–Pb ages of shocked zircon grains link distal K–Pg boundary sites in Spain and Italy with the Chicxulub impact. Earth and Planetary Science Letters 310, 401–408. from South Island assemblages. New Zealand Journal of Geology and Geophysics 46, 295–306. Kennedy, E.M., Spicer, R.A., Rees, P.M., 2002. Quantitative palaeoclimate estimates from Late Cretaceous and Paleocene leaf floras in the northwest of the South Island, New Zealand. Palaeogeography, Palaeoclimatology, Palaeoecology 184, 321–345. Kominz, M.A., Browning, J.V., Miller, K.G., Sugarman, P.J., Misintseva, S., Scotese, C.R., 2008. Late Cretaceous to Miocene sea-level estimates from the New Jersey and Delaware coastal plain coreholes: an error analysis. Basin Research 20, 211–226. Kershaw, S., Crasquin, S., Li Y., Collin, P.-Y., Forel, M.-B., Mu, X., Baud, A., Wang, Y., Xie, S., Guo, L., Maurer, F., 2012. Microbialites and global environmental change across the Permian-Triassic boundary: a synthesis. Geobiology 10, 25–47. Kring, D.A., 2007. The Chicxulub impact event and its environmental consequences at the Cretaceous-Tertiary boundary. Palaeogeography, Palaeoclimatology, Palaeoecology 255, 4–21. ACCEPTED MANUSCRIPT Kürschner, W.M., Bonis, N.R., Krystyn, L., 2007. Carbon-isotope stratigraphy and palynostratigraphy of the Triassic–Jurassic transition in the Tiefengraben section - Northern Calcareous Alps (Austria). Palaeogeography, Palaeoclimatology, Palaeoecology 244, 257–280. Timescale. Geological Society, London, Special Publications 334, 263–283. America Special Paper 361, pp. 297–318. Labandeira, C.C., Johnson, K.R., Wilf, P., 2002b. Impact of the terminal Cretaceous event on plant-insect associations. Proceedings of the National Academy of Sciences 99, 2061–2166. Larsson, L.M., 2009. Palynostratigraphy of the Triassic–Jurassic transition in southern Sweden. GFF 131, 147– 163. Society of America Bulletin 99, 325–330. Lerbekmo, J.F., Sweet, A.R., Duke, M.J.M., 1996. A normal polarity subchron that embraces the K/T boundary: a measure of sedimentary continuity across the boundary and synchroneity of boundary events. In: Ryder, G., Fastovsky, D., Gartner, S., (Eds. ), The Cretaceous-Tertiary event and other catastrophes in Earth history. Geological Society of America Special Paper 370, pp. 465–486. Lerbekmo, J.F., Sweet, A.R., Davidson, R.A., 1999. Geochemistry of the Cretaceous–Tertiary (K–T) boundary interval south-central Saskatchewan and Montana. Canadian Journal of Earth Sciences 36, 717–724. Li, L., Wang, YD., Liu, Z., 2013. Late Triassic palynofloras and their palaeoenvironmental significance from Xuanhan of Sichuan Province, southwestern China. In: Reitner, J., Yang, Q., Wang, Y., Reich, M., (Eds. ), Palaeobiology and Geobiology of Fossil Lagerstätten through Earth History. Universitätsverlag Göttingen, pp. 99–100. Li, J., Batten, D.J., Zhang, Y., 2011. Palynological record from a composite core through Late Cretaceous–Early Paleocene deposits in the Songliao Basin, Northeast China and its biostratigraphic implications. Cretaceous Research 32, 1–12. across Gondwana. Review of Palaeobotany and Palynology 145, 89–122. Longrich, N.R., Bhullar, B-A.S., Gauthier, J.A., 2012. Mass extinction of lizards and snakes at the Cretaceous– Paleogene boundary. 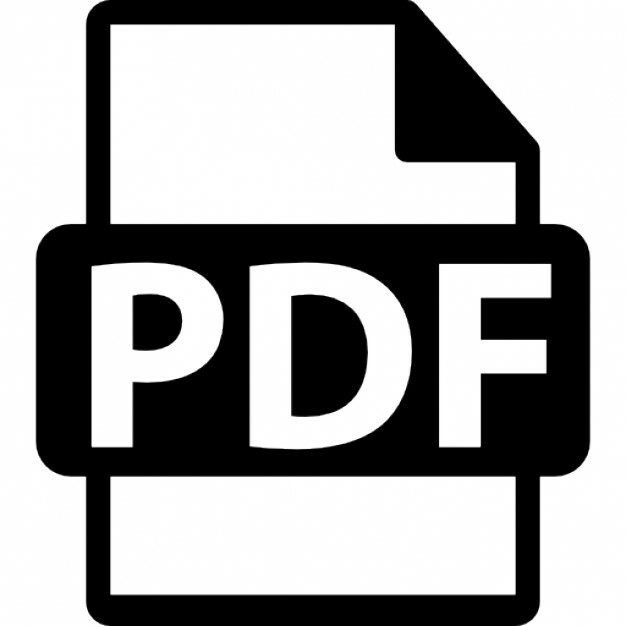 Proceedings of the National Academy of Sciences 109, 21396–21401. Longrich, N.R., Tokaryk, T., Field, D.J., 2011. Mass extinction of birds at the Cretaceous–Paleogene (K–Pg) boundary. Proceedings of the National Academy of Sciences 108, 1523–1527. extinction: closing the "3 m gap". Biology Letters 7, 925–928. MacArthur, R.H., Wilson, E.O., 1967. The theory of island biogeography. Princeton, Princeton University Press, 224 p.
Mander, L., Collinson, M.E., Chaloner, W.G., Brain, A.P.R., Long, D.G., 2012. The ultrastructure and botanical affinity of the problematic mid-Mesozoic palynomorph Ricciisporites tuberculatus Lundblad. International Journal of Plant Sciences 173, 429–440. Mander, L., Kürschner, W.M., McElwain, J.C., 2013. Palynostratigraphy and vegetation history of the TriassicJurassic transition in East Greenland. Journal of the Geological Society 170, 37–46. Mast, A., Thiele, K., 2007. The transfer of Dryandra R.Br. to Banksia L.f. (Proteaceae). Australian Systematic Botany 20, 63–71. McElwain, J.C., Punyasena, S., 2007. Mass extinction events and the plant fossil record. Trends in Ecology and Evolution 22, 548–557. terrestrial vegetation to climatic and atmospheric change across the Triassic/Jurassic boundary in East Greenland. Paleobiology 33, 547–573. McLoughlin, S., 2001. The breakup history of Gondwana and its impact on pre-Cenozoic floristic provincialism. Australian Journal of Botany 49, 271–300. Gondwanan plant. Journal of the Botanical Society of Bengal 65, 93–106. W.J., 2011. Impact of the Cretaceous terrestrial revolution and KPg extinction on mammal diversification. Mildenhall, D.C., 1980. New Zealand Late Cretaceous and Cenozoic plant biogeography:a contribution. Quaternary of Northern South America. American Association of Stratigraphic Palynologists, Contributions Series 19, 7–76. Muller, J., 1984. Significance of fossil pollen for angiosperm history. Annals of the Missouri Botanical Garden 71, 419–43. U/Pb Dating of Closed-System Zircons". Science 305, 1760–1763. Dakota. In: Hartman, J.H., Johnson, K.R., Nichols, D.J., (Eds. ), The Hell Creek Formation and the Cretaceous–Tertiary boundary in the Northern Great Plains: an Integrated Continental Record of the End of the Cretaceous. Geological Society of America Special Paper 361, pp. 9–34. Nichols, D.J., 1990. Geologic and biostratigraphic framework of the non-marine Cretaceous–Tertiary boundary interval in western North America. Review of Palaeobotany and Palynology 70, 77–88. strata in the Denver Basin, Colorado. Rocky Mountain Geology 37, 135–163. Nichols, D.J., Johnson, K.R., 2008. Plants and the K–T Boundary. Cambridge University Press, 280p. Nichols, D.J., Brown, J.L., Attrep, M. Jr, Orth, C.J., 1992. A new Cretaceous-Tertiary boundary locality in the western Powder River basin, Wyoming: biological and geological implications. Cretaceous Research 13, 3–30. Catastrophes in Earth History. Geological Society of America Special Paper 307, Boulder, Colorado, pp. 75–88. from flora fauna and geology. In: Cockell, C., Koeberl, C., Gilmour, I., (Eds. ), Biological Processes Associated with Impact Events. Springer Verlag series, pp. 203–227. O'Leary, M.A., Bloch, J.I., Flynn, J.J., Gaudin, T.J., Giallombardo, A., Giannini, N.P., Goldberg, S.L., Kraatz, B.P., Luo, Z-X., Meng, J., Ni, X., Novacek, M.J., Perini, F.A., Randall, Z.S., Rougier, G.W., Sargis, E.J., Silcox, M.T., Simmons, N.B., Spaulding, M., Velazco, P.M., Weksler, M., Wible, J.R., Cirranello, A.L., 2013. The placental mammal ancestor and the post-K–Pg radiation of placentals. Science 339, 662–667. Olsen, P.E., Kent, D.V., Sues, H.D., Koeberl, C., Huber, H., Montanari, A., Rainforth, E.C., Fowell, S.J., Szajna, M.J., Hartline, B.W., 2002. Ascent of Dinosaurs Linked to an Iridium Anomaly at the Triassic– Jurassic Boundary. Science 296, 1305–1307. Pan, A.D., Jacobs, B.F., Dransfield, J., Baker, W.J., 2006. The fossil history of palms (Arecaceae) in Africa and new records from the Late Oligocene (28–27 Mya) of northwestern Ethiopia. Botanical Journal of the Linnean Society 151, 69–81. Pearson, D.A., Schaefer, T., Johnson, K.R., Nichols, D.J., 2001. Palynologically calibrated vertebrate record from North Dakota consistent with abrupt dinosaur extinction at the Cretaceous–Tertiary boundary. Geology 29, 39–42. Johnson, K.R., Nichols, D.J., (Eds. ), The Hell Creek Formation and the Cretaceous–Tertiary boundary in the Northern Great Plains: an Integrated Continental Record of the End of the Cretaceous. Geological Society of America Special Paper 361, pp. 145–167. Pedersen K.R., Lund, J.J., 1980. Palynology of the plant-bearing Rhaetian to Hettangian Kap Stewart Formation, Scoresby Sund, East Greenland. Review of Palaeobotany and Palynology 31, 1–69. and Planetary Change 65, 155–165. eventostratigraphic boundary in western Guizhou and eastern Yunnan, southwestern China. Palaeogeography, Palaeoclimatology, Palaeoecology 215, 285–295. Peppe, D.J., 2010. Megafloral change in the early and middle Paleocene in the Williston Basin, North Dakota, USA. Palaeogeography, Palaeoclimatology, Palaeoecology 298, 224–234. ACCEPTED MANUSCRIPT New Zealand. Australian Systematic Botany 12, 331–364. Pole, M., Vajda, V., 2009. A new terrestrial Cretaceous–Paleogene site in New Zealand - turnover in macroflora confirmed by palynology. Cretaceous Research 30, 917–938. Pope, K.O., Ocampo, A.C., Duller, C.E., 1993. Surficial geology of the Chicxulub impact crater, Yucatan, Mexico. Earth Moon Planets 63, 93–104. Cretaceous and lower Tertiary strata in the Denver Basin, Colorado. Rocky Mountain Geology 38, 171– 181. Regali, M.S.P., Uesugui, N., Santos, A.S., 1974. Palinologia dos sedimentos Meso Cenozóicos do Brasil (I). Boletim Técnico da Petrobrás 17, 177–191. Rehan, S.M., Leys, R., Schwarz, M.P., 2013. First Evidence for a Massive Extinction Event Affecting Bees Close to the K-T Boundary. PLoS ONE 8. e76683. doi:10.1371/journal.pone.0076683 Renne, P.R., Deino, A.L., Hilgen, F.J., Kuiper, K.F., Mark, D.F., Mitchell, W.S., Morgan, L.E., Mundil, R., Smit, J., 2013. Time scales of critical events around the Cretaceous–Paleogene boundary. Science 339, 684–687. Retallack, G.J., 1977. Reconstructing Triassic vegetation of eastern Australasia: a new approach for the biostratigraphy of Gondwanaland. Alcheringa 1, 253–283. Retallack, G.J., Greaver, T., Jahren, A.H., 2007. Return to Coalsack Bluff and the Permian–Triassic boundary in Antarctica. Global and Planetary Change 55, 90–108. Robin, E., Bonté, P., Froget, L., Jéhanno, C., Rocchia, R., 1992. Formation of spinels in cosmic objects during atmospheric entry: A clue to the Cretaceous–Tertiary boundary event. Earth and Planetary Science Letters 108, 181–190. and the KP impact event. Earth and Planetary Sciences Letters 281, 159–168. event. Geological Society of America Special Paper 307, 279–286. Tertiary boundary in the Northern Great Plains: an Integrated Continental Record of the End of the Cretaceous. Geological Society of America Special Paper 361, pp. 169–178. Saito, T., Yamanoi, T., Kaiho, K., 1986. End–Cretaceous devastation of terrestrial flora in the boreal Far East. Nature 323, 253–255. Sampson, S.D., Loewen, M.A., 2005. Tyrannosaurus rex from the Upper Cretaceous (Maastrichtian) North Horn Formation of Utah: biogeographic and paleoecologic implications. Journal of Vertebrate Paleontology 25, 469–472. Schmieder, M., Buchner, E., Schwarz, W.H., Trieloff, M., Lambert, P., 2010. A Rhaetian 40Ar/39Ar age for the Rochechouart impact structure (France) and implications for the latest Triassic sedimentary record. Meteoritics & Planetary Science 45, 1225–1242. Urrutia-Fucugauchi, J., Vajda, V., Whalen, M.T., Willumsen, P.S., 2010. The Chicxulub asteroid impact and mass extinction at the Cretaceous–Paleogene boundary. Science 327, 1214–1218. Scotese, C.R., 2001. Atlas of Earth History, Volume 1. Paleogeography, PALEOMAP Project, Arlington, Texas, 52 pp. Petschick, R., Röhling, H.-G., Richoz, S., Rosenthal, Y., Falkowski, P.G., 2009. Floral changes across the Triassic/Jurassic boundary linked to flood basalt volcanism. Nature Geoscience 2, 589–594. Sepúlveda, J., Wendler, J.E., Summons, R.E., Hinrichs, K., 2009. Rapid resurgence of marine productivity after the Cretaceous–Paleogene mass extinction. Science 326, 129–132. Sheehan, P.M., Fastovsky, D.E., 1992. Major extinctions of land-dwelling vertebrates at the Cretaceous– Tertiary boundary, eastern Montana. Geology 20, 556–560. Sheehan, P.M., Fastovsky, D.E., Barreto, C., Hoffman, R.G., 2000. Dinosaur abundance was not declining in a ―3 m gap‖ at the top of the Hell Creek Formation, Montana and North Dakota. Geology 28, 523–526. Shen, S.Z., Crowley, J.L., Wang, Y., Bowring, S.A., Erwin, D.H., Sadler, P.M., Cao, C.Q., Rothman, D.H., Henderson, C.M., Ramezani, J., Zhang, H., Shen, Y., Wang, X.D., Wang,W., Mu, L., Li, W.Z., Tang, Y.G., Liu, X.L., Liu, L.J., Zeng, Y., Jiang, Y.F., Jin, Y.G., 2011. Calibrating the end–Permian mass extinction. Science 334, 1367–1372. Shi, G.R., Waterhouse, J.B., McLoughlin, S., 2010. The Lopingian of Australasia: a review of biostratigraphy, correlations, palaeogeography and palaeobiogeography. Geological Journal 45, 230–263. northeastern Jiangsu, eastern China. Cretaceous Research 16, 465–482. Palaeobotany and Palynology 35, 155–73. analysis of fossil conifer leaves from eastern Australia. Gondwana Research, In press. Steinthorsdottir, M., Jeram, A.J., McElwain, J.C., 2011. Extremely elevated CO 2 concentrations at the Triassic/Jurassic boundary. Palaeogeography, Palaeoclimatology, Palaeoecology 308, 418–432. Sweet, A.R., Braman, D.R., 1992. The K–T boundary and the contiguous strata in western Canada: Interactions between paleoenvironments and palynological assemblages. Cretaceous Research 13, 31–79. Sweet, A.R., Braman, D.R., 2001. Cretaceous–Tertiary palynofloral perturbations and extinctions within the Aquilapollenites Phytogeographic Province. Canadian Journal of Earth Sciences 38, 249–269. transitory interruption within a dynamic system. In: Sharpton, V.L., Ward, P.D., (Eds. ), Global catastrophes in Earth history; An interdisciplinary conference on impacts, volcanism, and mass mortality. Geological Society of America Special Paper 247, pp. 457–469. Sweet, A.R., Braman, D.R., Lerbekmo, J.F., 1999. Sequential palynological changes across the composite Cretaceous–Tertiary boundary claystone and contiguous strata, western Canada and Montana, U.S.A. Canadian Journal of Earth Sciences 36, 743–768. Tanner, L.H., 2010. The Triassic isotope record. The Triassic Timescale. In: Lucas, S.G., (Ed. ), The Triassic Timescale, Geological Society of London Special Publication 334, pp. 103–118. Tanner, L.H., Kyte, F.T., 2005. Anomalous iridium enrichment in sediments at the Triassic-Jurassic boundary, Blomidon Formation, Fundy basin, Canada. Earth and Planetary Science Letters 240, 634-641. Continents Around the North Atlantic at About the 60th Parallel. Earth Planetary Science Letters 187, 55– 69. Cretaceous of Australasia. Alcheringa 34, 397–419. boundary. In: Berggen, W.A., Van Couvering, J.A., (Eds. ), Catastrophes in Earth history: the new uniformitarianism, pp. 315–337. Twitchett, R.J., Looy, C.V., Morante, R., Visscher, H., and Wignall, P.B., 2001. Rapid and synchronous collapse of marine and terrestrial ecosystems during the end-Permian biotic crisis. Geology 29, 351–354. Vajda-Santivanez, V., 1999. Miospores from Upper Cretaceous–Paleocene strata in northwestern Bolivia. Vajda, V., 2001. Aalenian to Cenomanian palynofloras of SW Scania, Sweden. Acta Paleontologica Polonica 46, 403–426. Vajda, V., 2012. Fungi, a driving force in normalization of the terrestrial carbon cycle following the end– Cretaceous extinction. In: Talent, J.A., (Ed. ), Earth and Life. Global Biodiversity, Extinction Intervals and Biogeographic Perturbations through Time. Springer, Science, Dordrecht. pp. 132–144. Vajda, V., McLoughlin, S., 2004. Fungal Proliferation at the Cretaceous–Tertiary Boundary. Science 303, 1489. Vajda, V., McLoughlin, S., 2007. Extinction and recovery patterns of the vegetation across Cretaceous– Palaeogene boundary – a tool for unravelling the causes of the end–Permian mass–extinction. Review of Palaeobotany and Palynlogy 144, 99–112. Vajda, V., Raine, J.I., 2003. Pollen and spores in marine Cretaceous/Tertiary boundary sediments at mid– Waipara River, North Canterbury, New Zealand. New Zealand Journal of Geology and Geophysics 46, 255–273. Vajda, V., Raine, J.I., Hollis, C.J., 2001. Indication of global deforestation at the Cretaceous–Tertiary boundary by New Zealand fern spike. Science 294, 1700–1702. Vajda, V., Raine, J.I., Hollis, C.J., Strong, C.P., 2004. Global effects of the Chicxulub impact on terrestrial vegetation - Review of the palynological record from New Zealand Cretaceous/Tertiary boundary. In: Dypvik, H., Clayes, P., (Eds. ), Cratering in marine environments and on ice, Springer Verlag, pp. 57–74. North Dakota, USA. Cretaceous Research 46, 114–122. Vajda, V., Calner, M., Ahlberg, A., 2013b. Palynostratigraphy of dinosaur footprintbearing deposits from the Triassic–Jurassic boundary interval of Sweden. GFF 135, 120–130. Vavrek, M.J., Larsson, C.E., 2010. Low beta diversity of Maastrichtian dinosaurs of North America. Proceedings of the National Academy of Sciences 109, 18857–18861. Vellekoop, J., Sluijs, A., Smit, J., Schouten, S., Weijers, J.W.H., Sinninghe Damsté, S.J., Brinkhuis, H., 2014. Rapid short-term cooling following the Chicxulub impact at the Cretaceous–Paleogene boundary. Proceedings of the National Academy of Sciences, In press. doi:10.1073/pnas.1319253111 Visscher, H., Brugman , W.A., 1988. The Permian-Triassic boundary in the southern Alps: A palynological approach. Memories Societa Geologica Italiana 34, 121–128. Visscher, H., Sephton, M.A., Looy, C.V., 2011. Fungal virulence at the time of the end-Permian biosphere crisis? Geology 39, 883–886. Wang, Y., Huang, C., Sun, B., Quan, C., Wu, J., Lin, Z., 2014. Paleo-CO2 variation trends and the Cretaceous greenhouse climate. Earth-Science Reviews 129, 136–147. Wang, Y.D., Fu, B.H., Xie, X.P., Huang, Q.S., Li, K., Li, G., Liu, Z.S., Yu, J.X., Pan, Y.H., Tian, N., Jiang, Z.K., 2010a. The terrestrial Triassic and Jurassic Systems in the Sichuan Basin, China. University of Science & Technology of China Press, 1–216. ACCEPTED MANUSCRIPT Wang, YD., Fu, B., Xie, X., Huang, Q., Li, K., Li, G., Liu, Z., Yu, J., Pan, Y., Tian, N., Jiang, Z., 2010b. The Non-marine Triassic and Jurassic System in the Sichuan Basin, China: Stratigraphical sequences, biodiversity and major strato-boundaries. Earth Science Frontiers 17, 19–21. remote outpost of Gondwana. Cretaceous Research 32, 357–367. Wappler, T., Currano, E.D., Wilf, P., Rust, J., Labandeira, C.C., 2009. No post-Cretaceous ecosystem depression in European forests? Rich insect-feeding damage on diverse middle Palaeocene plants, Menat, France. Proceedings of the Royal Society B 276, 4271–4277. and Planetary Science 42, 1871–1882. Academy of Sciences 100, 599–604. Wilf, P., Labandeira, C.C., Johnson, K.R., Ellis, B., 2006. Decoupled plant and insect diversity after the endCretaceous extinction. Science 313, 1112–1115. Willumsen, P.S., Vajda, V., 2010. A new early Paleocene dinoflagellate cyst species, Trithyrodinium partridgei: its biostratigraphic significance and palaeoecology. Alcheringa 3, 523–538. Wilson, G.P., 2005. Mammalian fauna dynamics during the last 1.8 million years of the Cretaceous in Garfield County, Montana. Journal of Mammalian Evolution 12, 53–76. Wilson, G.P., Evans, A.R., Corfe, I.J., Smits, P.D., Fortelius, M., Jernvall, J., 2012. Adaptive radiation of multituberculate mammals before the extinction of dinosaurs. Nature 483, 457–460. Wolfe, J.A., 1985. Distribution of major vegetational types during the Tertiary. Geophysical Monograph 32, 357–375. Yamamoto, S., Sakuma, H., Matsui, T., 2010. Environmental and vegetational changes recorded in sedimentary leaf wax n-alkanes across the Cretaceous–Paleogene boundary at Loma Capiro, Central Cuba. Palaeogeography, Palaeoclimatology, Palaeoecology 295, 31–41. Yin, H., Zhang, K., Tong, J., Yang, F., Wu, S., 2001. The Global Stratotype Section and Point (GSSP) of the Permian-Triassic boundary. Episodes 24, 102–114. Pierre et Marie Curie Paris 6, 254 p.
across the Permian–Triassic boundary along the Yunnan–Guizhou border, SW China. Global and Planetary Change 55, 193–208. Yu, J., Broutin, J., Huang, Q., Grauvogel-Stamm, L., 2010. Annalepis, a pioneering lycopsid genus in the recovery of the Triassic land flora in South China. Comptes Rendus Palévol 9, 470–486. Filial, Sibirsk Otdel, pp. 66–119. Zaklinskaya, E.D., 1981. Phylogeny and classification of the Normapolles. Review of Palaeobotany and Palynology 35, 139–47. van der Zwan, C.J., Spaar, P., 1992. Lower to middle Triassic sequence stratigraphy and climatology of the Netherlands, a model. Palaeogeography, Palaeoclimatology, Palaeoecology 91, 277–290. Pg boundary are mainly coccolith chalk whilst the carbonates above the boundary comprise re-precipitated CaCO3 followed by bryozoan limestone. (B) The so called ―fish-clay‖ or K–Pg boundary at Rødvig is a thin dark layer followed by the red iron- and sulphur-rich bed, succeeded in turn by light grey sediments. itself is barely visible and lies within the top of the 12 cm dark coal. Fig. 2. Compilation of 105 terrestrial K–Pg boundary sections, based on data from Nichols and Johnson (2008). The figures in parenthesis represent the number of sections from each area (in bold) and significance score based on the robustness of the identification of the K–Pg boundary as outlined by Nichols and Johnson (2008). The mineralogical and geochemical evidence is emphasized because of its decisive importance regarding the placement of the K–Pg boundary. Palynological analysis - 1point; Sedimentological analysis and sampling performed at less than decimeter resolution - 3 points; Iridium anomaly present - 3 points; Boundary claystone present – 3 points; Shocked minerals present – 3 points; Paleomagnetic analysis performed – 1 point; Radiometric dating performed – 1 point; Cretaceous faunal assemblage recovered – 1 point; Paleocene faunal assemblage recovered – 1 point; Cretaceous macrofloral assemblage recovered – 1 point; Paleocene macrofloral assemblage recovered – 1 point; Fern-spore spike identified – 1 point). al., 1996), with representative pollen morphologies. Fig. 4. Compilation of vertebrate, macroflora and insect damage diversity trends over the last 1.3 Myrs of the Cretaceous in the Marmarth area, North Dakota, USA. Mean annual paleo-temperatures are derived from leaf margin analysis, and further correlated to two global events: the Deccan volcanism and the Chicxulub impact. albeit paleontological data is compiled from a multitude of localities from within the Marmarth area. specimens per sample are plotted on the right (with small dots representing individual samples, large dots representing averaged 20 cm stratigraphic bins and line representing sliding average). boundary in the Marmarth area. Fig. 6. Selection of published global terrestrial and near-shore marine K–Pg boundary sites showing the occurrence of a fern spike immediately following the K–Pg boundary event, compilation based on studies referenced in the figure. Cumulative relative abundance of Cyathidites and Laevigatosporites is presented in those cases where the authors have separated the different fern spore components, otherwise the relative abundance of all fern spores as a group is presented. Fig. 7. Schematic illustration over the pre-impact palynological assemblages followed by the post-impact, long term recovery succession globally. the transition from state A to state B. Report "The global vegetation pattern across the Cretaceous–Paleogene mass extinction interval: A template for other extinction events"